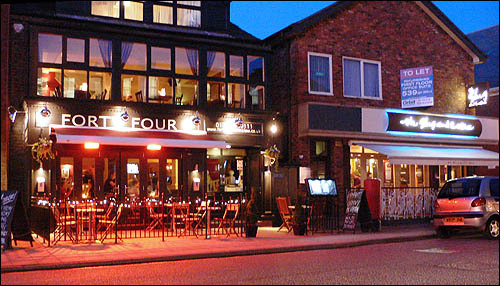 The former "Forty-Four" bar - formerly The Wilmslow Wine Bar and before that other names. Now closed and may become an interior furnishings shop. The red glow comes from the outdoor heaters, so that brave souls and smokers can use the outside tables. 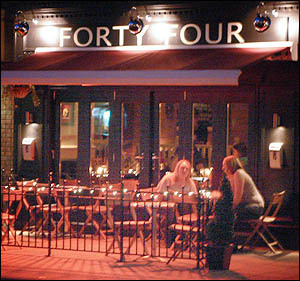 Forty-four is next to the Slug and Lettuce. Click here to see more of Water Lane.